“Flesh of the Orchid” By Istvan Labady for The Room Magazine. Inspired by the 1975 French movie by Patrice Chéreau based on James Hadley Chase Book. 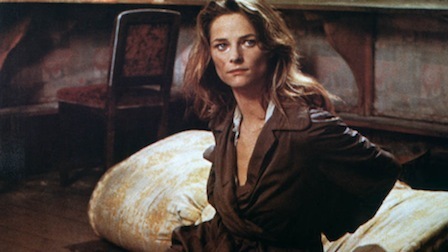 The heiress Claire (Charlotte Rampling) in this movie is the daughter of the Miss Blandish of the film No Orchids for Miss Blandish. She has been raised under the unsympathetic eye of her aunt (Edwige Feuillère), who has no intention of seeing her receive her large inheritance. A somewhat violent girl (her father was a mentally retarded killer), she has been confined in a mental asylum. All the men who help her meet tragedy and death in the course of the film, but Claire gets help from other quarters, and her prospects look good. “Flesh of The Orchid” Editorial from The Excellent Hungarian Magazine : The Room December Issue. Réka Ebergéni is shot by Istvan Labady. Styled by Ali Toth & Aniko Virag. The Original Charlotte in the 1975 Movie.